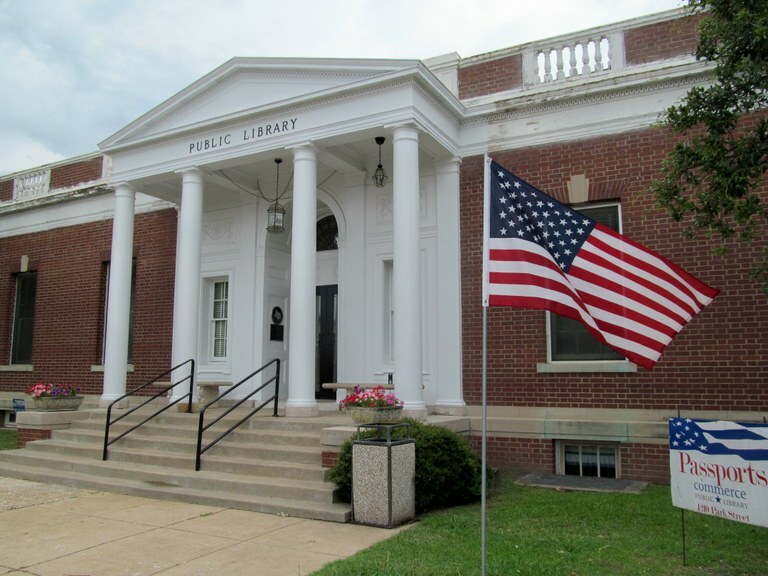 During the summer of 2013, Mike Hudson, an area contractor, worked restoring the Library’s portico. The process was painstaking and labor-intensive as he scraped, sanded, and removed decayed wood on the vintage structure in preparation for repairs and new paint. The results are amazing and hints at what the building could look like fully restored. Although the library building is owned by the city of Commerce, the Friends of the Commerce Public Library, a private non-profit corporation which owns the library’s collections, pays the staff and oversees operations, funded the restoration work. Several thousand dollars were raised during the “Save the Library” campaign in May and June, 2012. 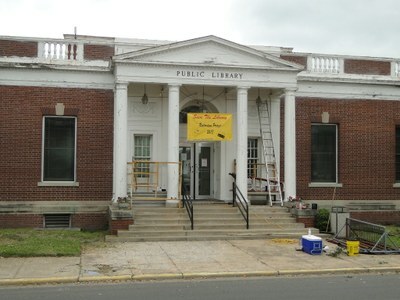 Also in spring 2012, the library was able to replace the building’s old and failing air conditioning system due to a generous grant from the First United Methodist Foundation. The restoration campaign has raised more than $30,000 towards the goal of getting the library ready for its 100th birthday. However those funds are exhausted and there is still much restoration work to be done. In order to finish work on the portico, the library had to dip into its savings.